"Since leaving Plymouth University in 2012, I completed a second course at Plymouth University, a PGCE in Secondary Education. Both of these degrees have led me to a teaching post in sunny Somerset, teaching years 7-13, covering English, Media Studies and English Language and English Literature at A-Level. I am really enjoying the job, and my degree at Plymouth University has fully prepared me for it: without the degree I would not feel confident to answer the very insightful questions that my sixth-form classes throw at me daily! 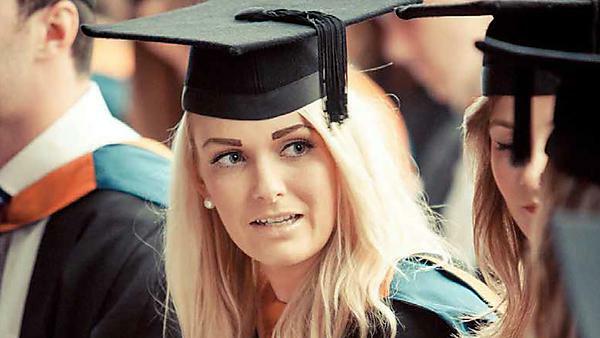 My passion for English was truly ignited at Plymouth, and I relish being able to pass this passion on to my wonderful pupils, many of whom are now considering studying English at University level after hearing about my experiences at Plymouth." Abigail is now a secondary school teacher at a school in Somerset.